There’s somewhat of a war going on between Account-Based Marketing and Inbound Marketing. Type the two terms into Google (other search engines are available) and you’ll be presented with a page that’s pretty much awash with article titles along the lines of ‘Account-Based Marketing Vs. Inbound Marketing’ – as if the two were in constant battle with one another, forcing companies and marketers to choose which side of the fence they’re on. What you’ll find much less of is content extolling the virtues of blending the two disciplines into one coherent and all-powerful whole – and that’s what we want to do today. First, however, let’s cover the basics. Account-Based Marketing is an approach to B2B marketing that’s based on selecting specific targets – i.e. “accounts” – before you begin a campaign, and treating them each as a market of one. 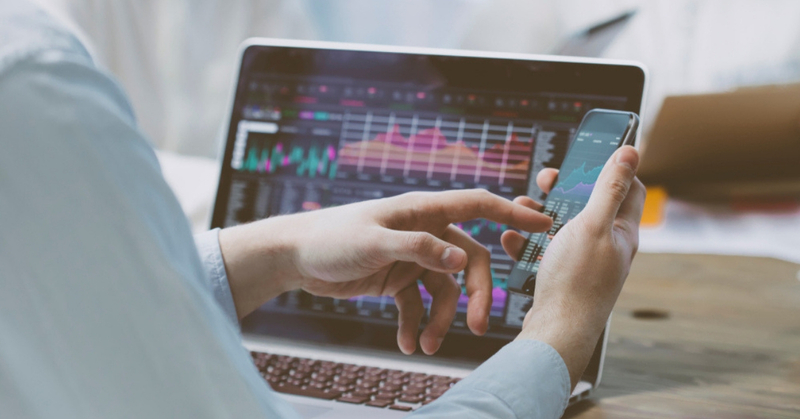 What Account-Based Marketing does is recognise the fact that today, there are more people involved in the B2B buying process than ever before. In fact, recent figures from DemandGen reveal that in the past year, 34% of B2B buyers have increased the number of stakeholders involved in the B2B purchasing process. 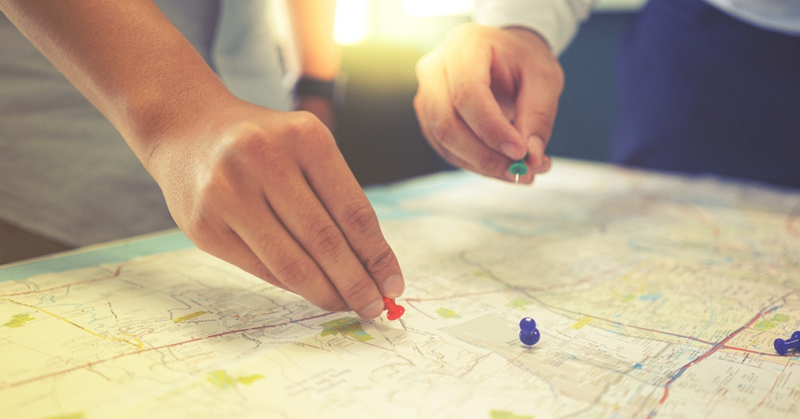 Typically, there will be anywhere between 7 and 20 people involved in making the B2B buying decision – and the more people there are, the less likely it is that a purchase will be made. Account-Based Marketing recognises this challenge, and thereby targets all decision-makers within a target company at once – as opposed to just individual sales leads. Put simply, Account-Based Marketing acknowledges the fact that successful B2B marketing is all about speaking to a whole group of people and not just isolated individuals. So – How Does Account-Based Marketing Differ from Inbound Marketing? Inbound Marketing is all about generating sales leads from a large pool of prospects. Inbound Marketing focusses on drawing traffic towards a company’s website using content – blogs, videos, infographics, podcasts, social media posts, etc. – and then creating a lead flow which uses more content and email marketing techniques to guide individual prospects along the buyer’s journey towards an eventual purchase. In this sense, Inbound Marketing works to move prospects down the traditional sales funnel. The aim is to pile as many good-fit prospects into the top of the funnel as possible, and then, through a middle-of-the-funnel process of engagement, education and nurturing, separate the wheat from the chaff, identify potential sales leads, and work to make a number of sales at the bottom. This is a key difference from the Account-Based Marketing approach. Account-Based Marketing flips the funnel on its head. It starts by identifying target companies – using research as opposed to inbound content – and then creates sales leads by building campaigns to engage the decision-makers. Here’s a great yet simple infographic from Drift that illustrates the different funnels nicely, and indeed how one can flow effortlessly into the other. Essentially, Account-Based Marketing is all about targeting a specific company from the outset, whereas Inbound Marketing starts with a focus on attracting a wide range of individuals and then homes in on the best ones from what comes in. As such, it’s very easy to assume that the two approaches are fundamentally different and are therefore incompatible. However Inbound Marketing and Account-Based Marketing actually share a number of core principles and can indeed be used very effectively in conjunction with one another to achieve optimum results. For starters, it must be realised that both Account-Based Marketing and Inbound Marketing share the exact same goal – to generate quality sales leads and opportunities. Despite the fact that Inbound Marketing begins by casting its net far and wide, it’s still quality that counts, not quantity. Both disciplines also value relevant relationship-building and communication with the aim to solve the pain-points of potential prospects before, during and after a sale is made. Personalisation is also a key focus of both Inbound Marketing and Account-Based Marketing – though, it is even more important in Account-Based Marketing, since the approach is all about treating companies as a market of one. In short, both Inbound Marketing and Account-Based Marketing – far from being the antithesis of one another – share the same core principals of focussing on the right experiences for the right customers and prospects, and indeed both use content, offers and social engagement to do so. Earlier this year, HubSpot – the very company that coined the term “Inbound Marketing” and popularised the concept – partnered with Account-Based Marketing firm Terminus to create a new integration for the HubSpot platform. 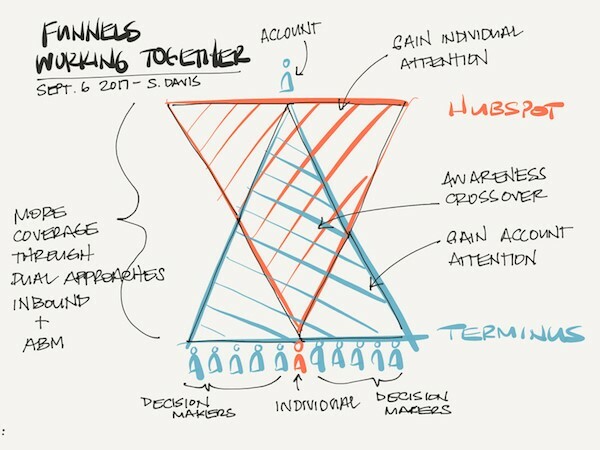 For the announcement, Terminus produced the following visual that shows the two funnels converging to create the very best of both worlds for marketers. And this illustrates exactly how Account-Based Marketing can supplement inbound (and vice versa) most beautifully. The middle sections of both funnels are all about gaining and keeping the attention of prospects. This stage is all about lead nurturing. 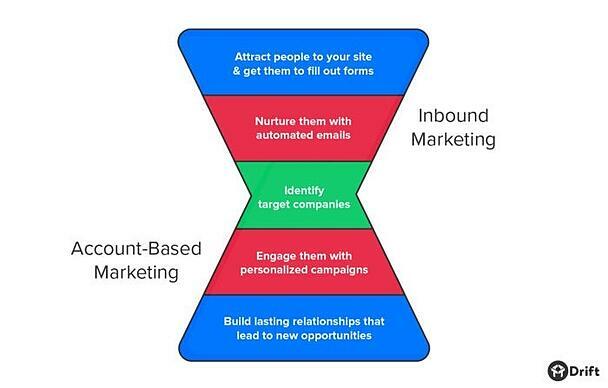 But with Account-Based Marketing integrated into an Inbound Marketing strategy, it becomes possible to expand out from an individual prospect who has entered the Inbound Marketing funnel, then subsequently focus on earning the attentions of that individual’s colleagues and co-decision-makers during the nurturing process. In this way, Inbound Marketing and Account-Based Marketing can work harmoniously together, expanding awareness and increasing engagement amongst the key B2B buyers and decision-makers within companies that are deemed to be best-fit accounts. Again, since both Inbound Marketing and Account-Based Marketing are primarily concerned with generating high-quality sales leads, the reality is that combining the approaches is always going to be the best way of achieving the most favourable results. B2B businesses will do well to not shun either Inbound Marketing or Account-Based Marketing over the other. It of course makes sense to take the Account-Based Marketing approach and identify high-value, high-quality targets then work towards earning their business specifically. But such an approach is hard to scale on its own, for it will mean creating a highly-specialised marketing plan with highly-specialised content to match for each individual account. 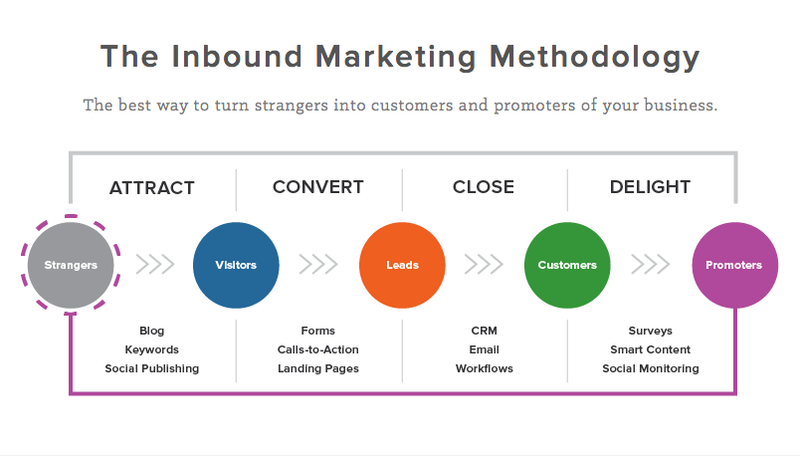 So, if you have a B2B product, service or solution that could potentially benefit any number of businesses in a diverse market that contains thousands of potential customers, you’ll need Inbound Marketing to reach them. But, once you do manage to capture an individual’s attention and enter them into your Inbound Marketing funnel, you can then begin Account-Based Marketing simultaneously, then aim to engage and educate the other decision-makers at the individual’s organisation, develop more relationships with more individuals, increasing the opportunity for conversion. If you need help integrating Account-Based Marketing and Inbound Marketing, get in touch with the growth experts here at Incisive Edge today.